03/09/2018 | Global Collaboration, News | Foley, M., Huber, A. This half day workshop is being facilitated by the WAIMH Affiliates Council. In response to feedback from affiliate members, this workshop will provide in-depth information about infant mental health training programmes from around the globe. A breadth of programmes will be featured ranging from well-established formal programmes to those that are not well known but serve unique local/regional training needs. Details about how to access these trainings will be outlined. In addition, arenas of IMH practice and research competency will be discussed. A cross-cultural lens will be used to prioritise and contextualise competencies. The workshop will also include narratives and stories from infant mental health practitioners and researchers about their journey of becoming an infant mental health specialist. It will also include narratives from specialists about their experiences of establishing an infant mental health training programme. Register with Early Bird fee before March 14, 2018! The workshop will be centre on a series of presentations from experienced providers of Infant Mental Health training/programs from around the world. The training programmes capture an array of contexts including online training, university-based training and community-based capacity building programmes. Current confirmed participating presenters and panel members include: Clinical Associate Professor Julie Ribaudo; Associate Professor Lynn Priddis; Emerita/ssociate Professor Astrid Berg; Dr Anusha Lachman; Professor Jane Barlow; Ms Catherine Maguire; Ms Catarina Furmark; Ms Nichole Paradis; Dr Neil Boris, and Dr Daphna Dollberg, Dr Sigal Knei-Paz and Dr Adena Hoffnuung. Below is a sample of some of the bios from the presenters. Julie Ribaudo is a Clinical Associate Professor at the University of Michigan, School of Social Work. In the field of Infant Mental Health since 1986, she has worked in a wide range of community-based programs, including community mental health, child welfare, public health, Head Start and Early Head Start, education, and the juvenile court system. Julie has a Post-Graduate Certificate and Endorsement as an Infant Mental Health Therapist and Mentor. She served for many years on the board of the Michigan Association for Infant Mental Health, including as president of the association for three years. Jane Barlow (DPhil, FFPH Hon) is Professor of Evidence Based Intervention in the Early Years at the Department of Social Policy and Intervention, University of Oxford. Jane’s main research interest is the role of early parenting in the aetiology of mental health problems, and the evaluation of early interventions aimed at improving parenting practices, during pregnancy and the postnatal period. She also undertakes research to evaluate the effectiveness of interventions aimed at preventing child abuse. She is currently President of the Association of Infant Mental Health, Editor-in-Chief of Child and Adolescent Mental Health (CAMH), and a member of PreVAiL (Preventing Violence Across the Lifespan). A/Prof Lynn Priddis is a clinical and counselling psychologist with over 30 years’ experience working with infants, children, adolescents and their families in health, education, and private practice contexts in Western Australia. Lynn currently works full-time as an academic at Edith Cowan University where she coordinates and teaches in the Master of Infant Mental Health course as well as the Clinical Psychology programme. As a past president of the Australian Association of Infant Mental Health (AAIMHI) and also of the West Australian Branch of AAIMHI Lynn has maintained a role in advocacy for Perinatal and Infant-Early Childhood Mental Health (PI-ECMH) with local and international organisations. Lynn is accredited to supervise in Mentalisation Based Treatment and to deliver training in the DCO-5 Diagnostic classificatory system. She facilitates and conducts training and supervision for practitioners and researchers from a range of disciplines in PI-ECMH. Lynn is a mother of four adult children and lives in Perth Western Australia, where she is currently adjusting to and enjoying a recently emptied nest. Catarina Furmark is a clinical psychologist working at the Karolinska Hospital Neonatal follow-up program and a PhD student at Karolinska Institutet studying parental aspects in families where the infant is at risk for Cerebral Palsy. She studies parental stress, anxiety and depression, internal representations, parental sensitivity and parent-child interaction. 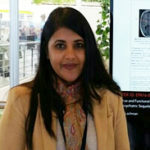 Anusha Lachman is a child & adolescent psychiatrist and clinician researcher in the Faculty of Health Sciences at Stellenbosch University. She completed her subspeciality child psychiatry training through the Colleges of Medicine South Africa in 2012. She is currently appointed as a consultant child & adolescent psychiatrist and heads the paediatric consultation liaison service at the Tygerberg academic training hospital in Cape Town. Her research and academic interests include paediatric neuropsychiatry and infant mental health in a developing world setting. She is currently working towards her doctoral dissertation in Infant Mental Health at Stellenbosch University under the co-supervision of Professor Kaija Puura at Tampere University, Finland. 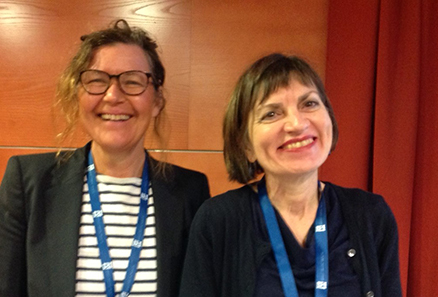 Together with Prof Astrid Berg, Dr Lachman co-convenes the first Mphil degree in Infant Mental Health that is offered on the African Continent. She is involved in the clinical and research supervision modules of the degree and is a local key opinion leader in First 1000 days of life initiative by the Western Cape Department of Health, SA. She is keen on strengthening the research and clinical services supporting infant and maternal mental wellbeing in South Africa. Catherine Maguire is a Clinical Psychologist, an Infant Mental Health Specialist & Clinical Mentor IMH-E® (IV). She works with Young Knocknaheeny (YK) Area Based Childhood Programme, based in Cork city. 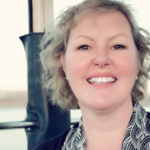 She is currently on secondment from the Health Service Executive, North Cork Child and Family Psychology Service, where she has 20 years’ experience working with children and families. As Clinical Lead for the YK Infant Mental Health and Wellbeing Strategy, Catherine’s role involves supporting the development and integration of evidenced based infant mental health principles and practices into services for the pre-birth to three year population, and their families. Involved in this role, is the establishment of an interdisciplinary infant mental health team, consolidation of a service framework, provision of interdisciplinary master class trainings to build workforce capacity and supporting environments of continuous learning within community settings, through the establishment of Infant Mental Health Network Groups. Catherine’s academic interests include the development and evaluation of community based infant mental health service frameworks, development and consolidation of interdisciplinary training models to advance workforce capacity and supporting programmes for transition to parenthood. 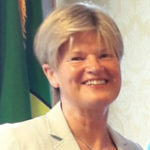 She is Co-founder and Past President of the Irish Association for Infant Mental Health. Dr. Dollberg is a licensed Clinical and Developmental Psychologist in Israel and the current President Elect of the Israeli Affiliate of the World Association of Infant Mental Health. The Israeli Affiliate combines over 200 registered professionals and holds yearly conferences addressing varied topics related to infants’, toddlers’ and parents’ mental health. Dr. Dollberg earned her Ph.D. in Clinical Psychology from Teachers College, Columbia University in 1995, where she studied mother-child interactions among single, young, inner-city mothers and their preschoolers. Upon returning to Israel, Dr. Dollberg continued studying early development and parent-child relationships in high and low risk populations including mental health referrals, adoption, high risk pregnancy and prematurity. She holds a faculty position as a Senior Lecturer in the School of Behavior Sciences, Academic College of Tel Aviv Yaffo, Israel, where she serves as Head of the Graduate Program in Clinical Psychology and faculty member in the Graduate Program in Developmental Psychology. 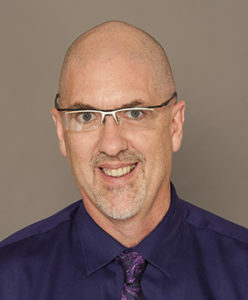 Dr. Dollberg also works as a therapist, treating parents and children facing relational and psychological difficulties by using parent-child interventions, parent psychotherapy and play therapy. She has been trained as a therapist and a trainer in Trauma Focused Child-Parent Psychotherapy (CPP) by Profs. Lieberman and Van Horn. She also teaches early socioemotional development and psychopathology in a newly established post-graduate program in parent-child psychotherapy initiated by the Israeli Association for Parent-Child Psychotherapy. 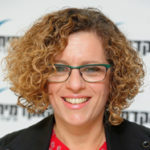 Dr Hoffnung Assouline is a Senior Lecturer at the School of Social Work- Ashkelon Academic College, and a Coordinator of Early Childhood Education at the Ministry of Social Affairs (Israel). 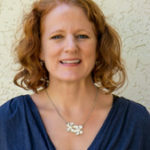 Her areas of special expertise include parent-child relations during the early childhood years, working with young children who have experienced traumatic events, and training and supervising early childhood social workers. As both a clinical social worker and educator Dr Hoffnung Assouline focuses on developing training programs for social workers working with infants and young children at risk. Dr Hoffnung Assouline has a private clinical practice for treating children of all ages and their families.